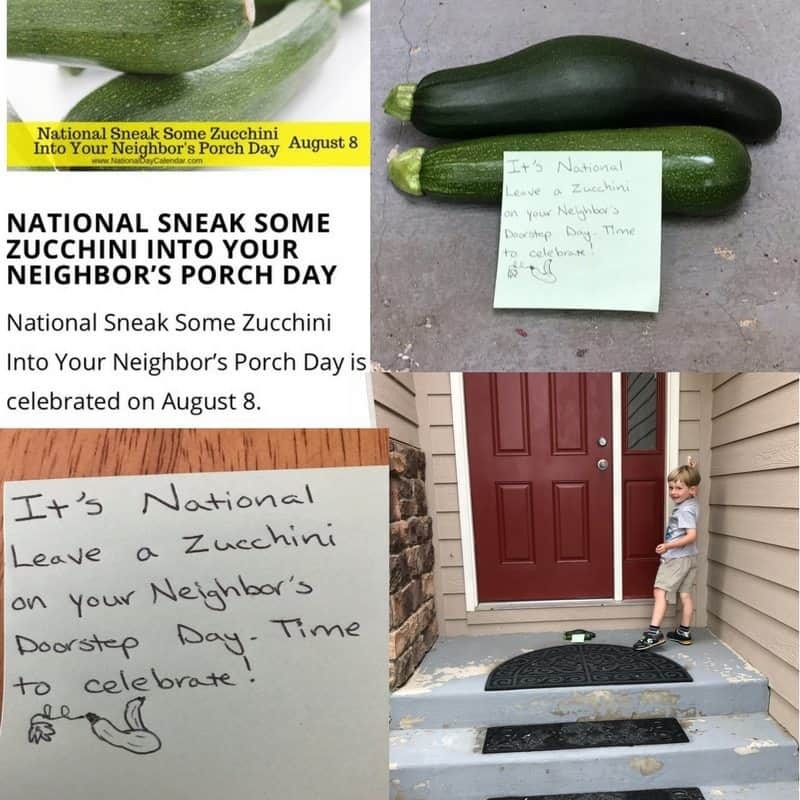 Did you miss Sneak Some Zucchini Into Your Neighbor’s Porch Day?? We never miss a reason to celebrate in our house, so my nephew snuck some of our garden zucchini onto my parents’ porch and he thought that was just about the best thing ever (especially when my dad pretended not to see him and feigned surprise at the magically appearing zucchini). 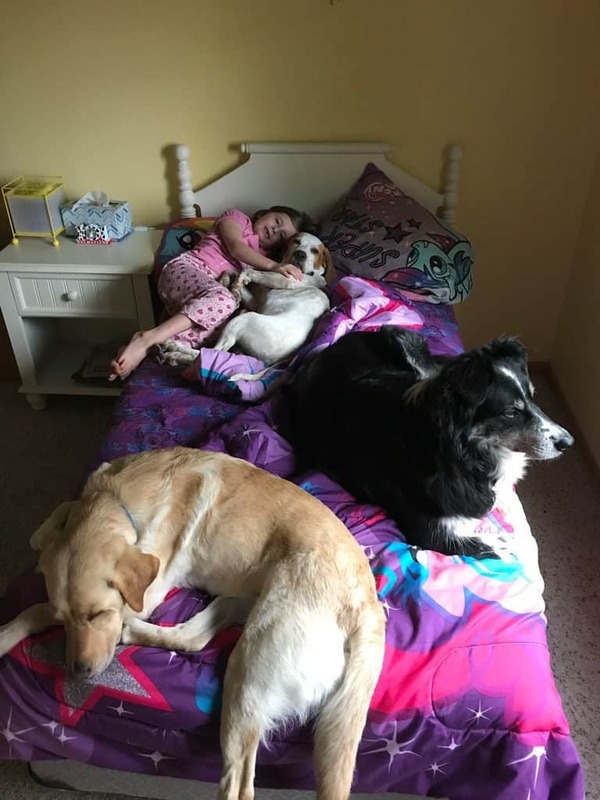 Bedtime has gotten a little bit more crowded with the puppy in the house. 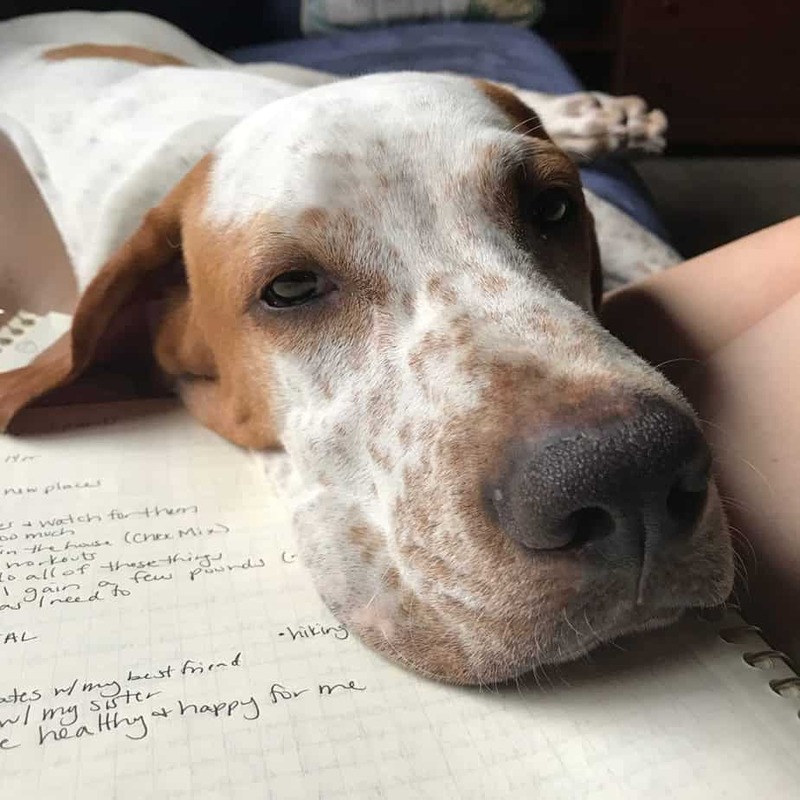 But, my goodness, he is such a sweet cuddler! And I seriously wish I could nap as hard as this dog. 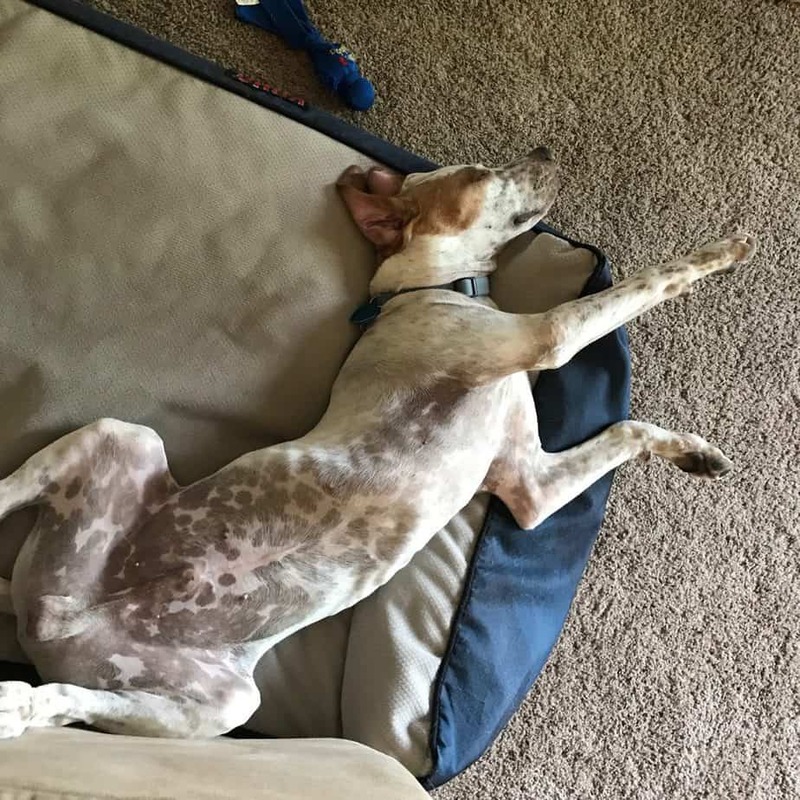 He has two speeds – hyper speed and completely zonked out and once he has zonked, there is no waking him up. 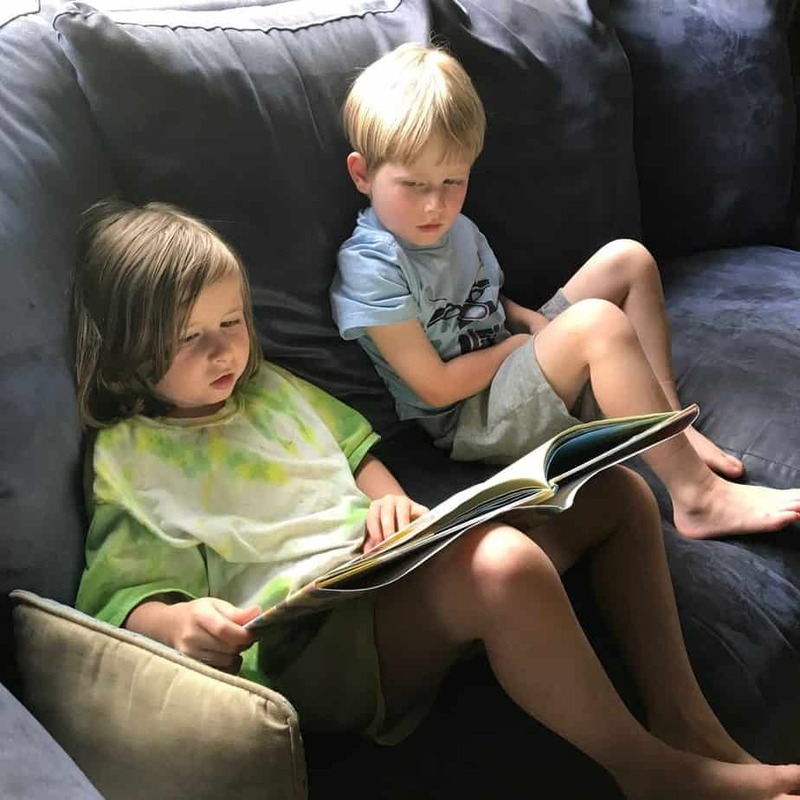 My niece was reading to my nephew the other night and my heart melted into a puddle. 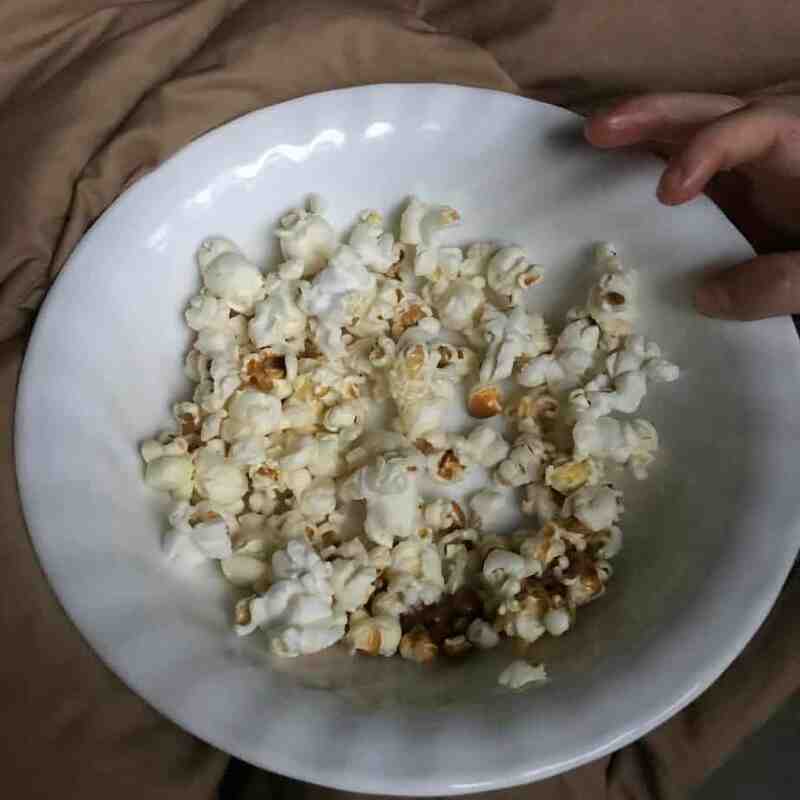 My brother-in-law makes the most amazing homemade popcorn for movie night! He does it the old fashioned way, with a pan on the stove. That method still makes me nervous, so I haven’t attempted it myself yet, but I sure enjoy eating it when he makes it! 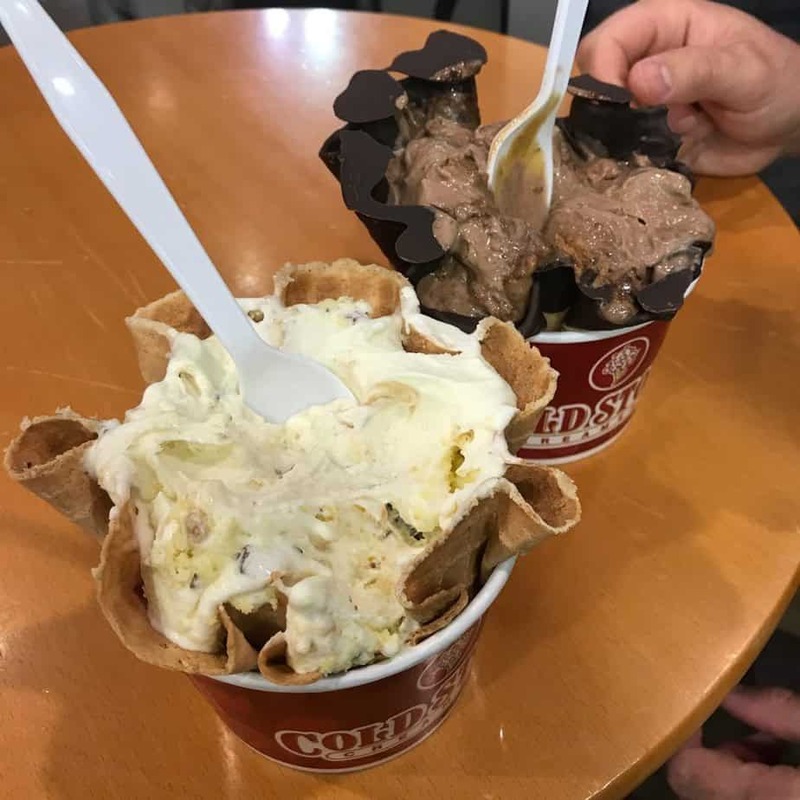 I went to Cold Stone the other night for the first time in approximately a decade and I got the exact same ice cream I used to order – Twix and yellow cake mixed into cake batter ice cream. Love it size (their medium). And, holy moly, that was a lot of ice cream! We definitely ended up bringing most of it home and freezing it for later. But it’s still oh-so delicious. 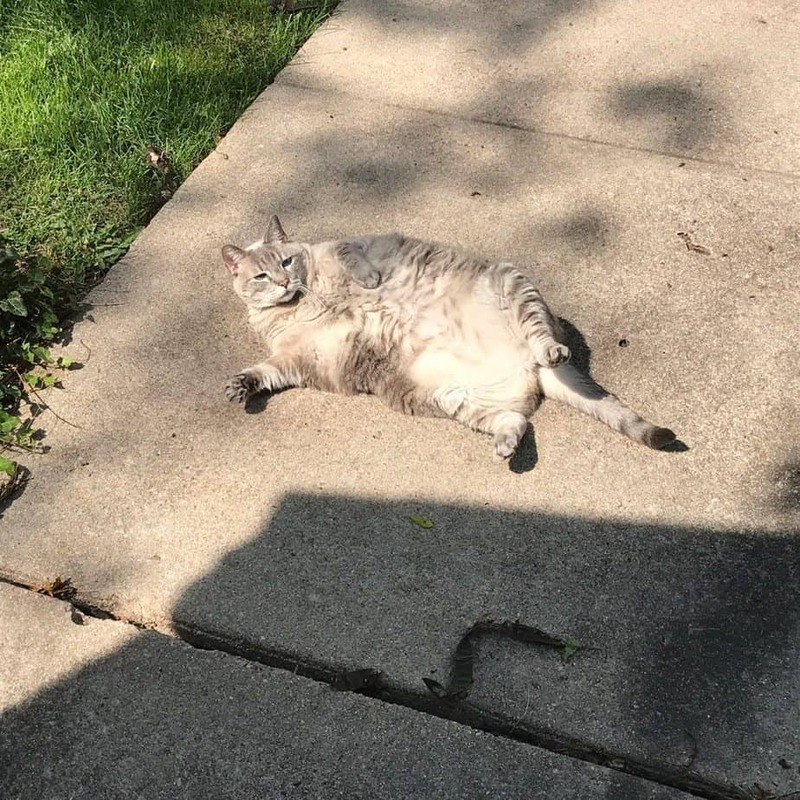 This is Adam’s cat sunbathing. And, yes, she is quite the chunk! 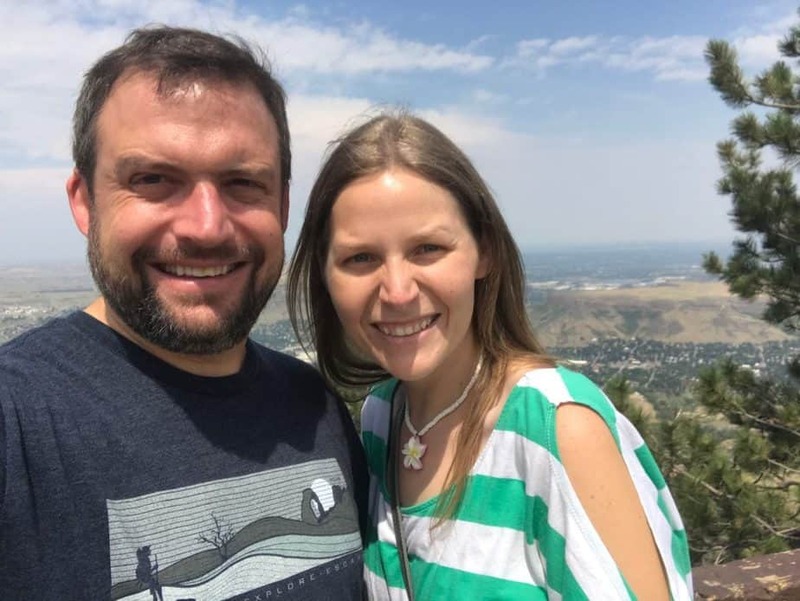 We drove to the top of Lookout Mountain outside of Golden the other day and, even though it was kind of a hazy day, it was still a gorgeous view! And they had a gift shop FULL of moose stuff at the top of the mountain! I was so excited every time I found something new. 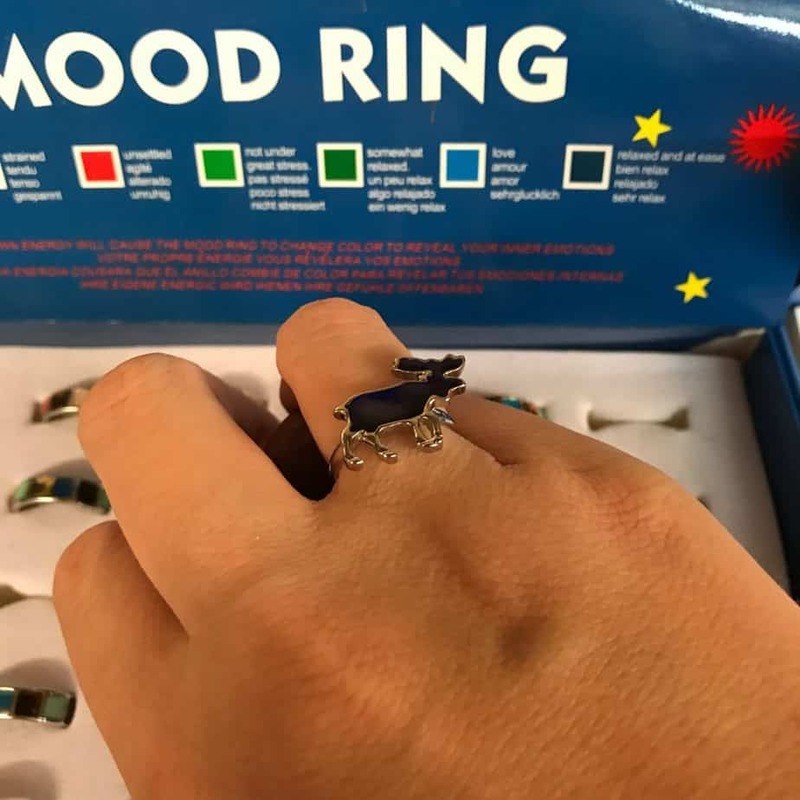 And I have never seen a moose mood ring before. I didn’t end up getting it, but maybe I should have! I did end up getting a cute little moose angel figurine holding a sign that said, “Welcome.” And I love it. I did end up getting a cute little moose angel figurine holding a sign that said, “Welcome.” And I love it. 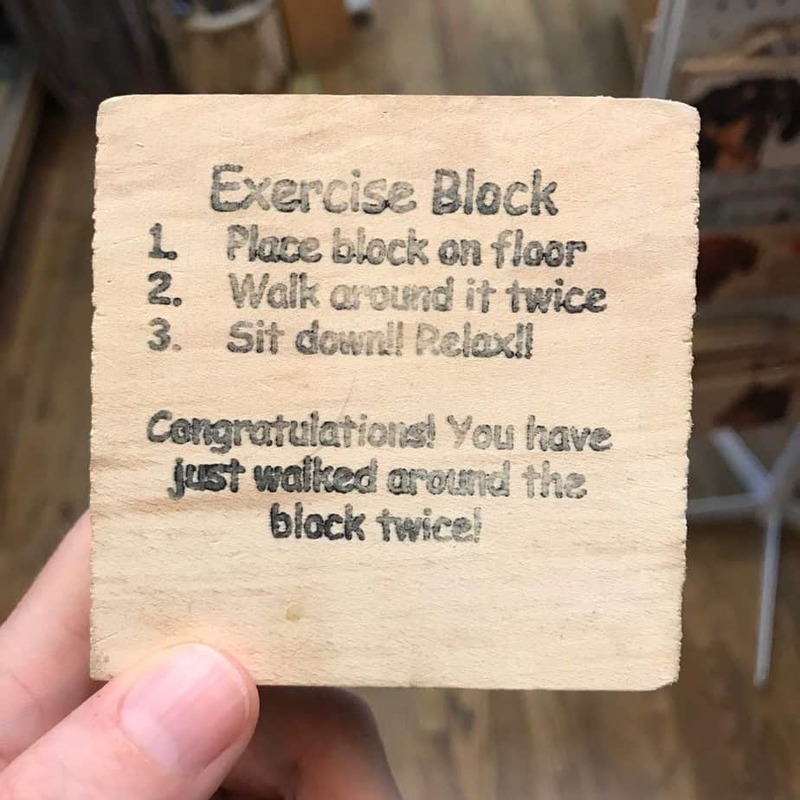 Wouldn’t it be awesome if exercise worked this way?! So clever. 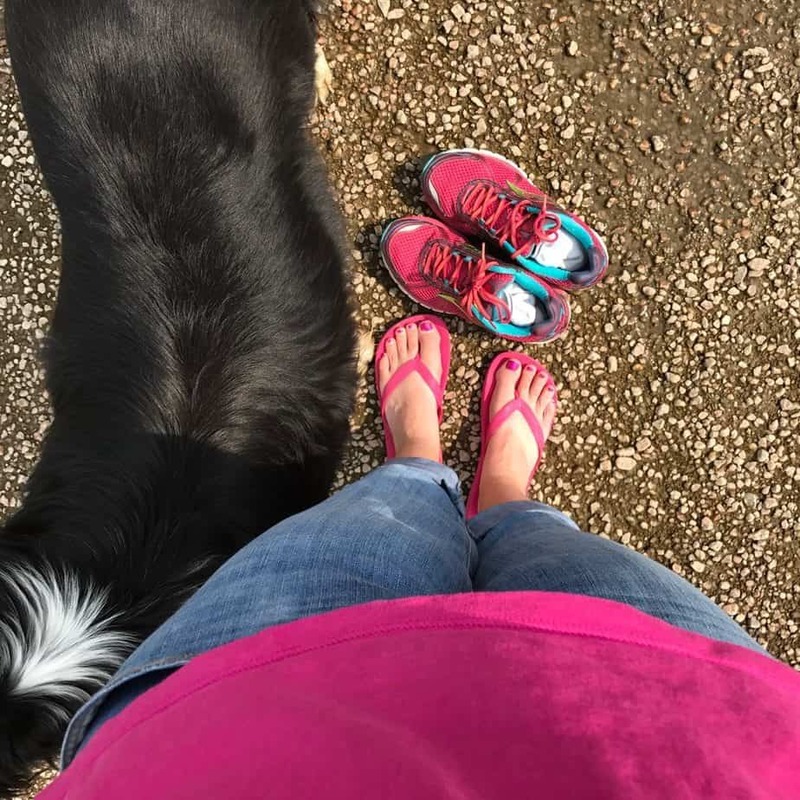 I may like the color pink just a little bit – toenails, shoes, flip flops, t-shirts….and I wasn’t even wearing my pink socks! 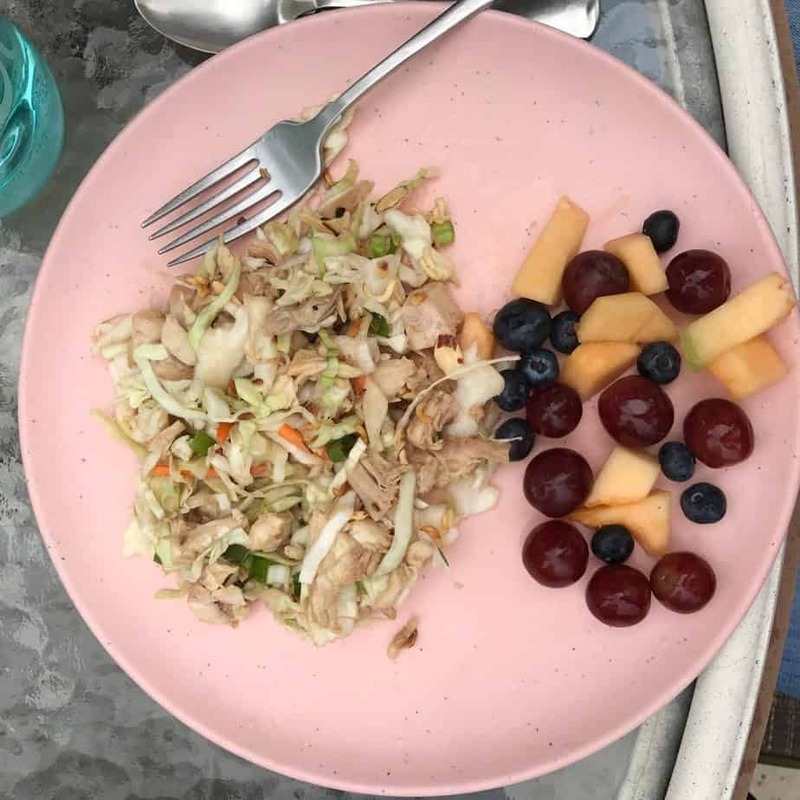 We had Chinese Chicken Salad for family dinner the other night. It’s a dish that just never gets old! My mom used to make this all the time for us growing up, especially in the summertime. 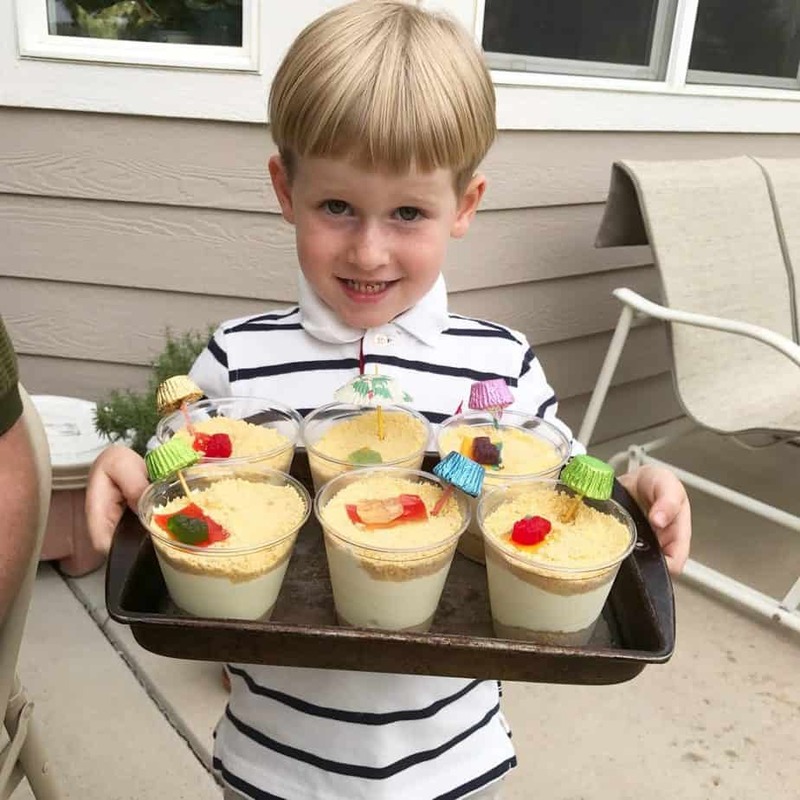 And my mom made the most adorable little desserts! 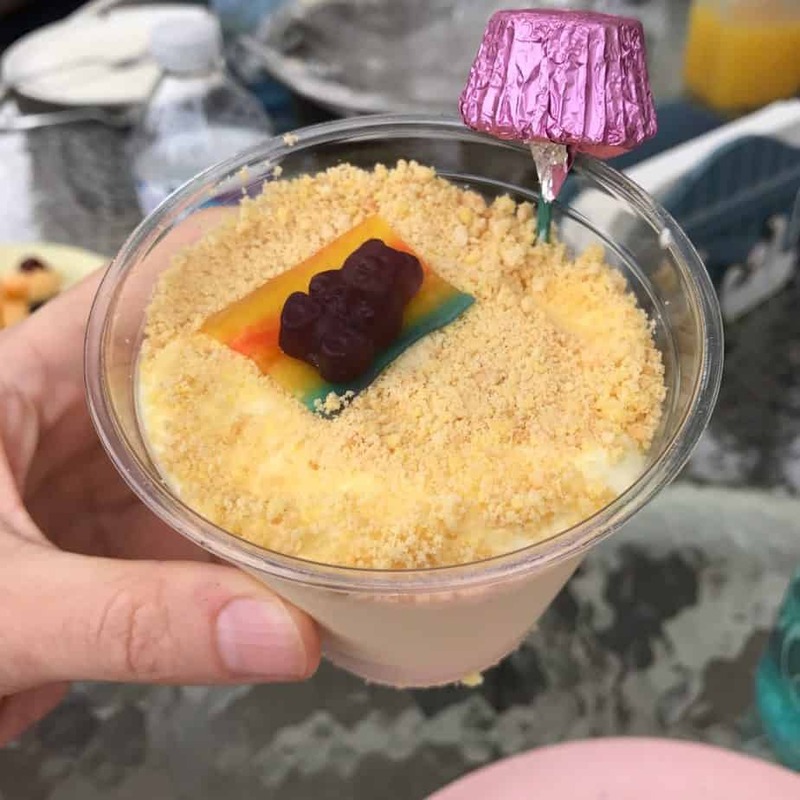 She calls them “Sandy Beaches.” It is kind of like Dirt Cake, but she used lemon pudding and lemon sandwich cookies for the sand. My favorite part was the grape gummy bear. My nephew helped make them and he was so proud! Cutest delivery boy on the planet. Since this was the last family dinner before my niece started school (how did that even happen?? 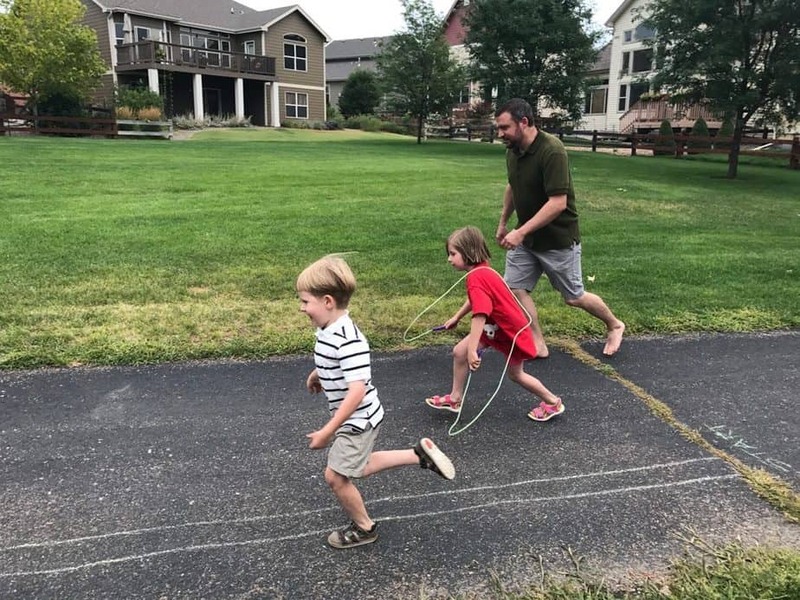 ), my mom planned all these fun little games for the kids to play outside. Obviously, Adam joined in. The man sure can hula hoop! So, obviously, Adam joined in. The man sure can hula hoop! If you haven’t tried these, you absolutely should! 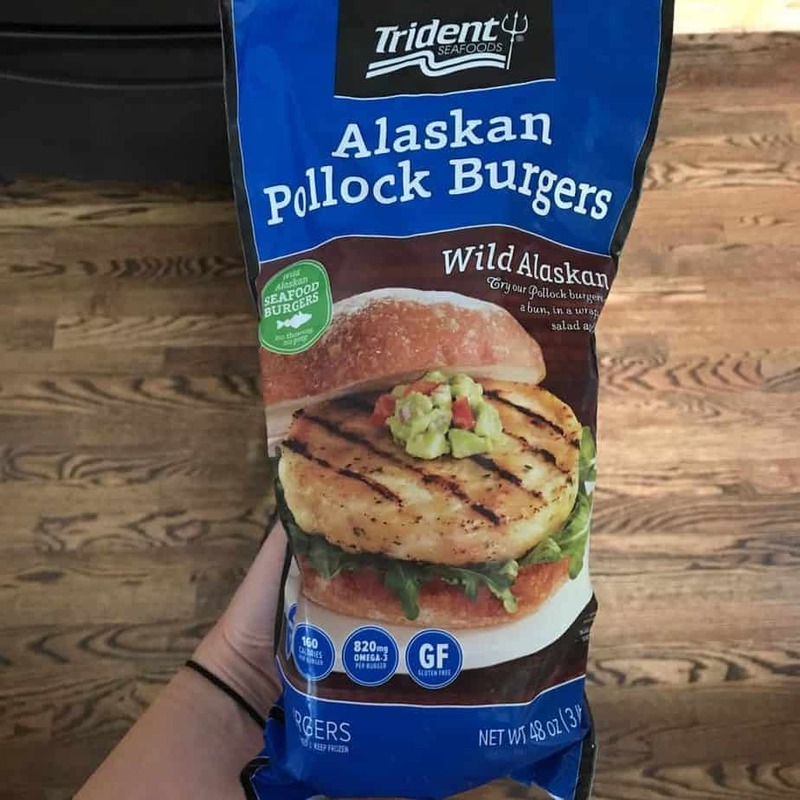 We get them at Costco and it’s the same brand that makes the salmon burgers I love so much. They just take a few minutes to make and are one of my favorite ways to make a quick protein-filled lunch. 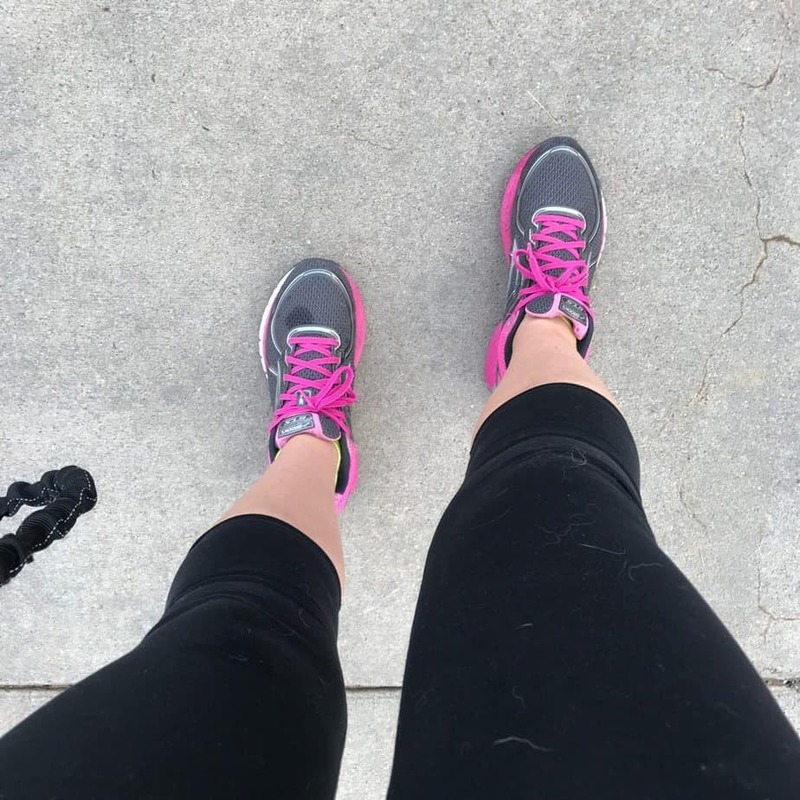 The puppy was super helpful when I was prepping for my live video talking about my weight loss journey on the Faithful Finish Lines page. 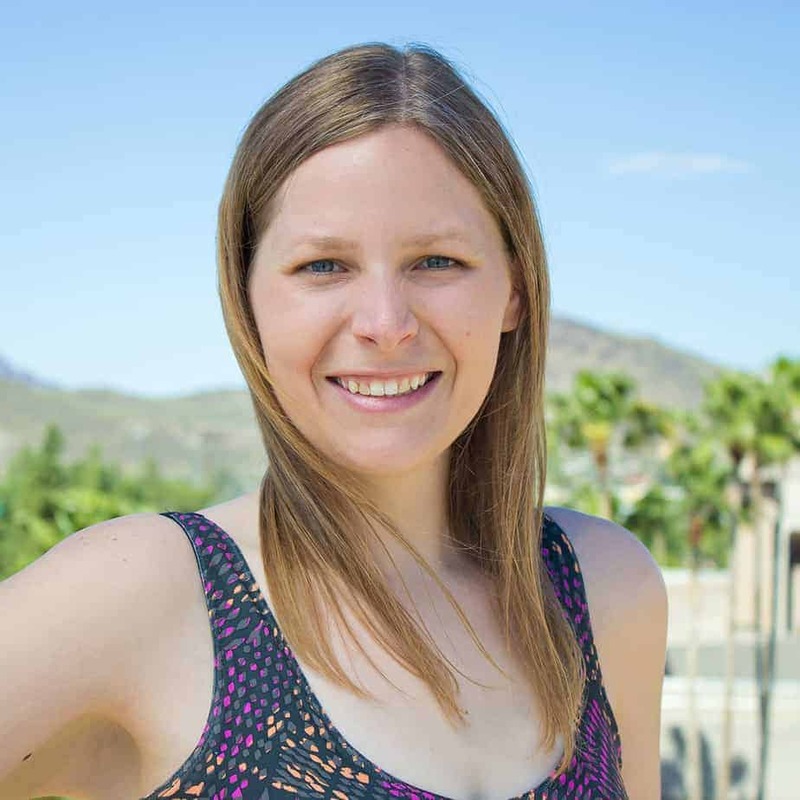 Helpful side note – it’s a good thing to breathe once or twice when speaking in a 17-minute long video. This week’s morning run temperatures were PERFECT. It wasn’t too hot or too cold and I wish it would stay like this forever. But it won’t because it’s Colorado. You blink and the weather changes here. 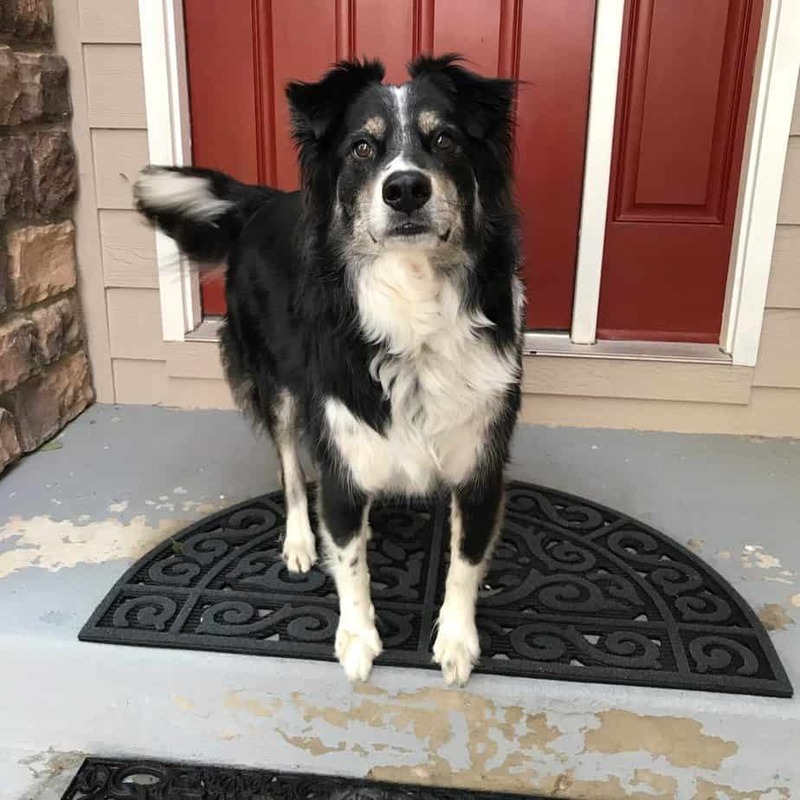 My border collie is probably 90% of the reason I run. He’s not the reason I started running, but he is a big reason I keep running! I had a super productive work day at my favorite coffee shop. 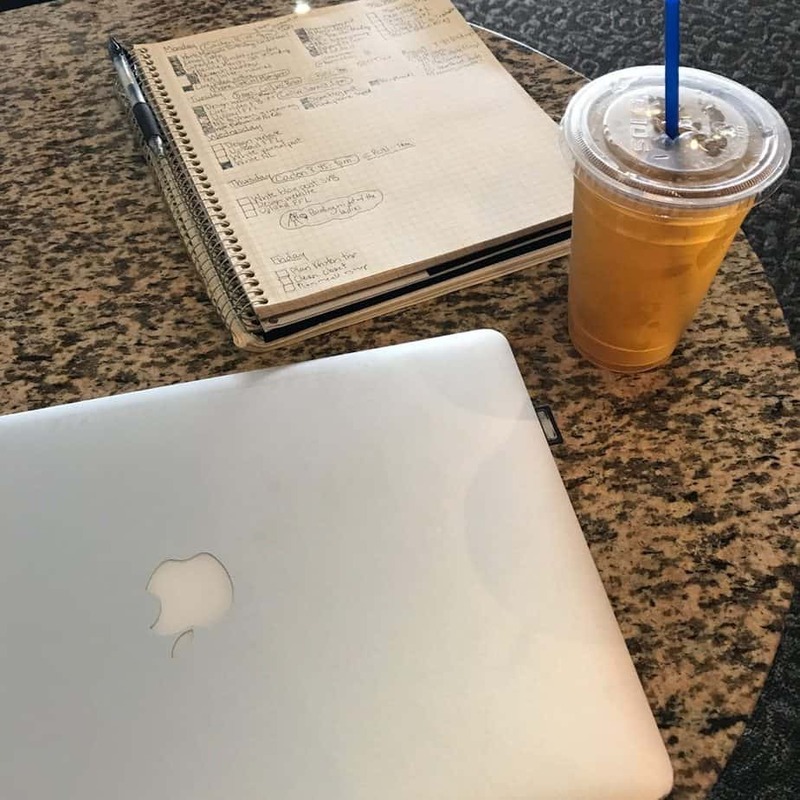 I love working from home, but there is something about working in this particular coffee shop that always makes me super productive and puts me in a great mood. Maybe it’s something in the lavender tea. 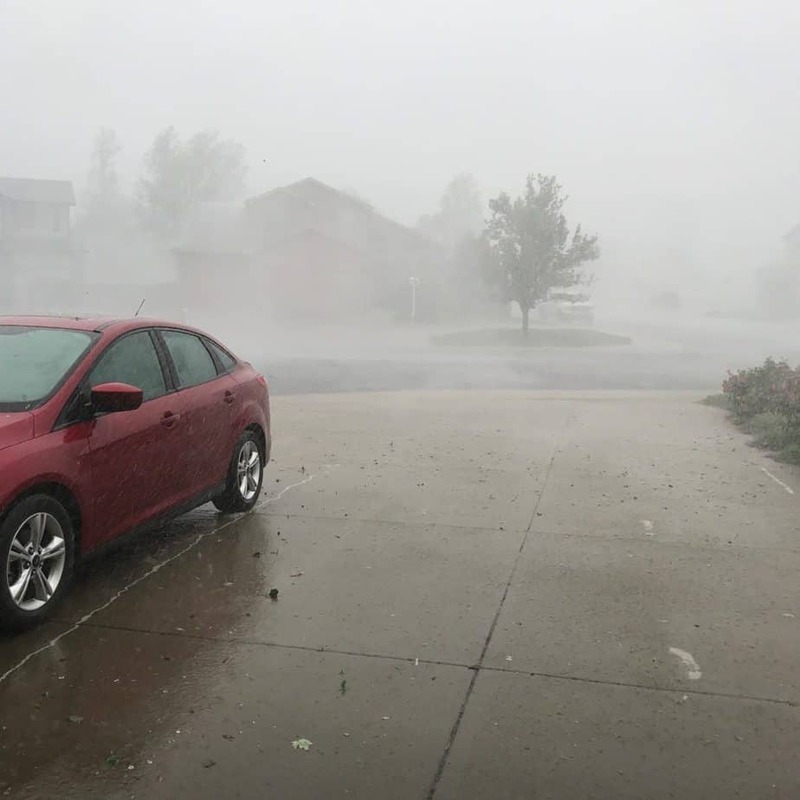 We had an insane hail/rain/wind storm earlier this week! My poor sister and niece were stuck driving in the middle of this. Luckily, all of the traffic just stopped at a stoplight and waited for it to pass because there was zero visibility. 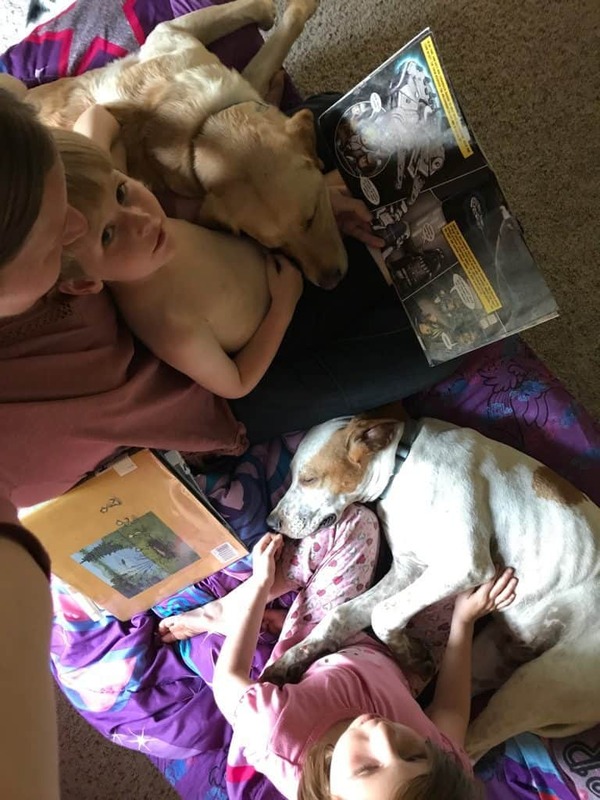 And while Boots was shaking in his boots at the sound of hail pounding the roof and windows, the puppy didn’t seem to notice a storm was going on. 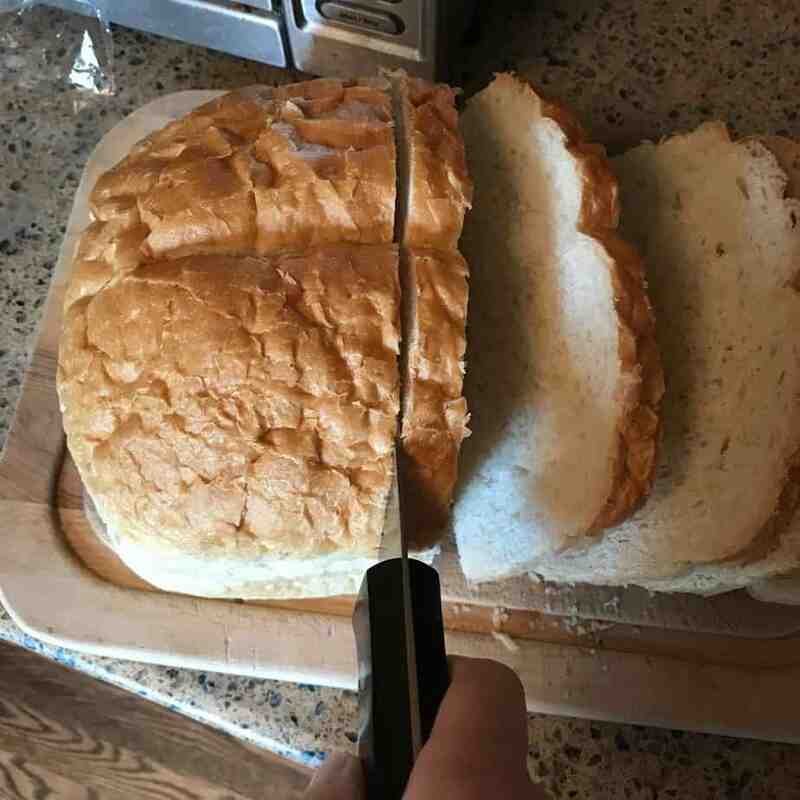 There is a running joke in our family that I should not be allowed to cut bread because I am nearly incapable of cutting it evenly. But look how nice these slices are! I needed photographic proof. And, oh, how I loved this breakfast sandwich! 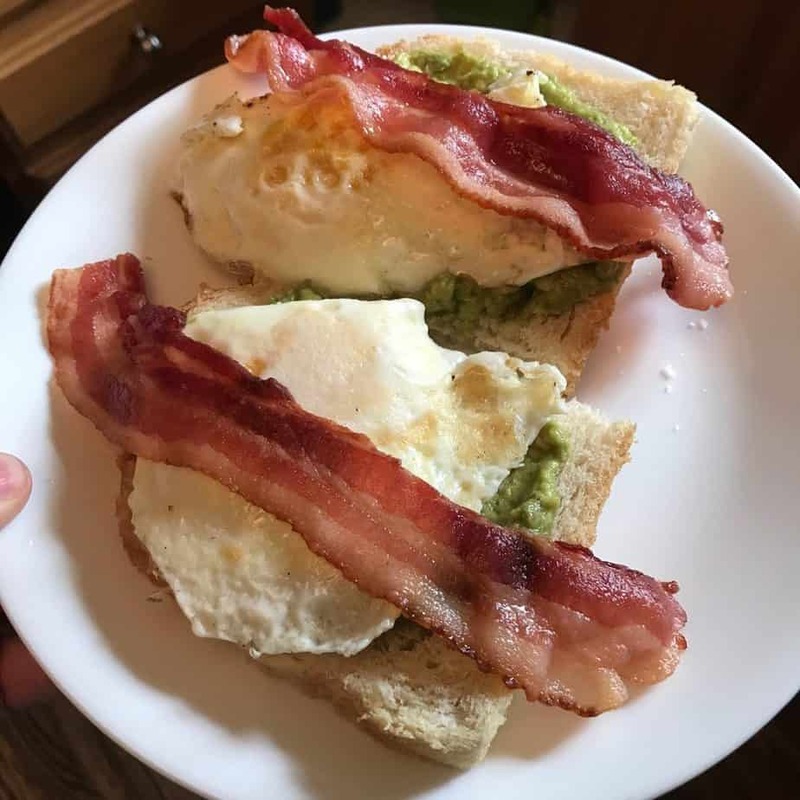 Guacamole, thick cut bacon, and eggs belong with sourdough bread and YUM. It was breakfast for dinner the other night. 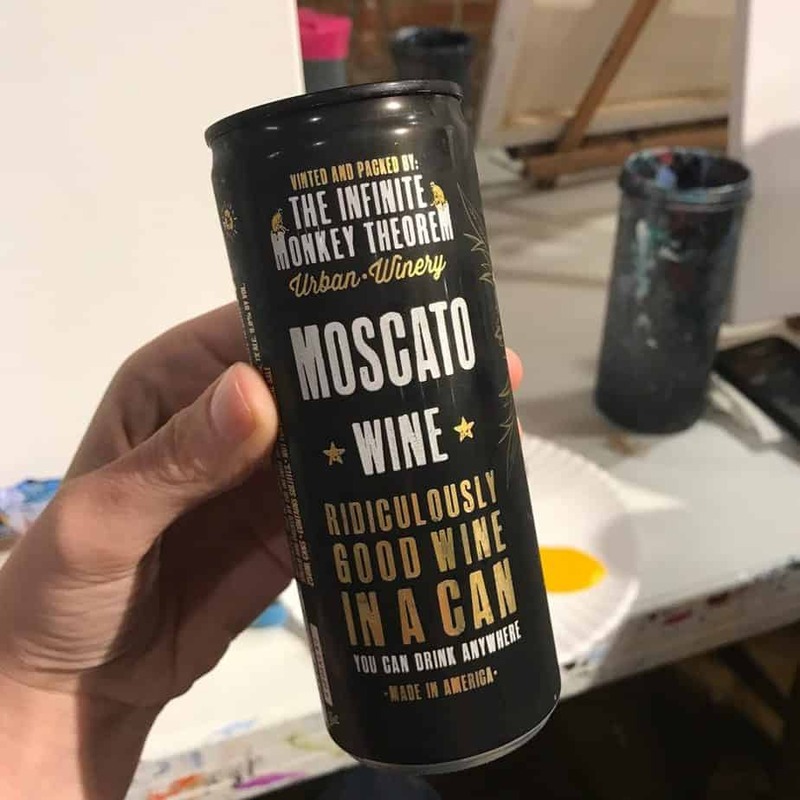 I have never had a can of wine before, but this one is apparently from a local place called The Infinite Monkey Theorem. I’m not going to lie, I bought it for the name. But it was also delicious! And I’m pretty sure the wine helped my painting skills at my very first wine & paint night! I seriously doubted that my painting ability would be able to come even close to recreating the picture they showed us, but their step-by-step lessons sure help! I had to paint two birds because one just makes me feel bad for him being sad and lonely. Also, I am so used to the digital age that it drove me crazy that I couldn’t cut, copy, paste, erase, or delete things. I think it took me 4 times longer than everyone else to paint my branches because it was driving me nuts that I just couldn’t get them quite right! I’m not always perfectionistic, but that night the painting sure brought it out! I had such a good time, though! I needed that healthy dose of laughter that night. And I loved that my sister came with us! 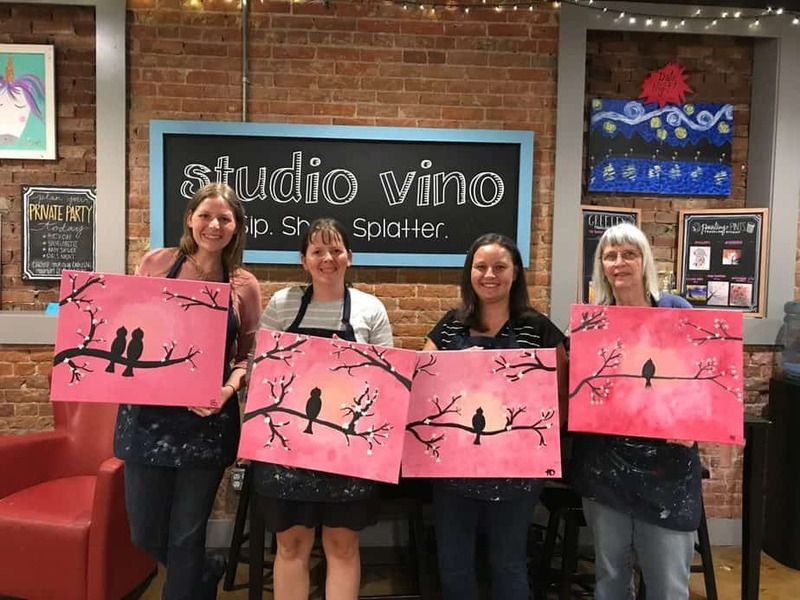 Have you ever done a wine and paint night? What did you think? What’s your favorite food to have for breakfast for dinner? Where do you get your most productive work done? 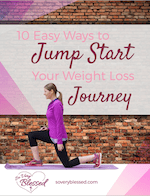 PreviousJoin the Back to Fitness Challenge!